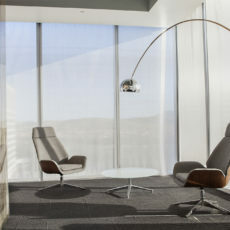 For their U.S. headquarters, Mazda wanted to create a premium place to work, featuring sought-after amenities and emphasizing wellness and a healthy work-life balance. 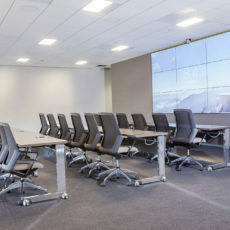 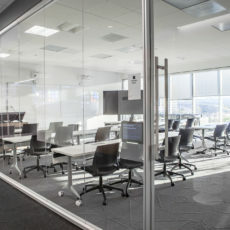 The open-floor workspaces focus on collaboration for 350 on-site employees, who are also encouraged to telecommute from home. 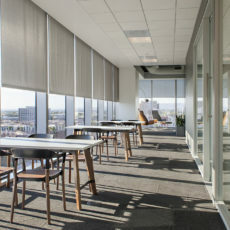 113,000 sq ft on five floors including cafe, wellness rooms, nine neighborhood hubs, 13 “think tanks”, 44 focus rooms, 50 huddle rooms, demountable glass walls for private offices and focus rooms. 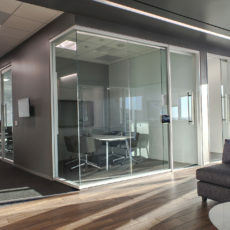 DIRTT glass walls and partitions, ancillary furniture from Bernhardt, OFS, Davis, Herman Miller, HBF, Geiger, Hightower, Source International, Nucraft, Arcadia, Clarus, Della Robbia, and lockers from Spacestor. 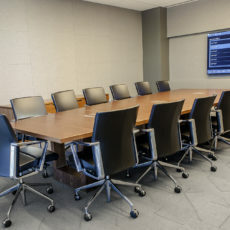 Our Construction Solutions division partnered with DIRTT on the functional and beautiful glass fronts for offices and conference rooms.